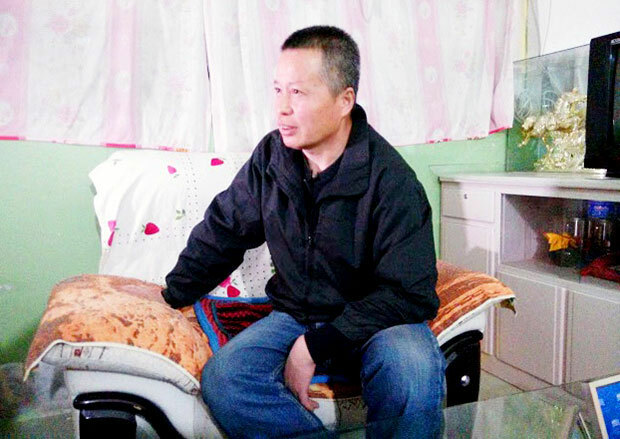 Gao was prevented earlier this week from traveling to Xi’an, provincial capital of the northern province of Shaanxi, by Chinese state security police, burst into his cave-home on Tuesday, the founder of Christian rights website ChinaAid, Bob Fu, told RFA. “If teeth have emotions, then being my teeth is really unbearable,” Gao wrote, in an English translation of the letter posted on the ChinaAid website. “Especially in 2009, these teeth experienced surprising and startling pain. When I was secretly jailed at a military site, I was tortured by the same group of men who carried out my torture in September 2007,” he said. Gao has remained defiant, however, hitting out at the ruling Chinese Communist Party’s treatment of him in a Nov. 10 letter translated and posted on the rights website ChinaChange.org. “Right now, the big problem staring at you in the face is this: there is just no way to get rid of me—you’ve come to realize this, too, through ten years of trying to,” the letter said. “The most absurd part of it all was when I snapped ‘What are you doing here?’ and those three big men had nothing to say for themselves. They didn’t actually know the point of their intrusion into my home,” Gao wrote. Gao’s letters come ahead of an appraisal by the United Nations Committee against Torture of China’s implementation of the Convention against Torture and Other Cruel, Inhuman or Degrading Treatment or Punishment, scheduled for Nov. 17-18. “In China, torture and cruel, inhuman or degrading treatment and punishment remain persistent and widespread,” the group said in a statement. Once a prominent lawyer lauded by the Communist Party, Gao began to be targeted by the authorities after he defended some of China’s most vulnerable people, including Christians, coal miners and followers of the banned Falun Gong spiritual movement. This entry was posted in Headlines, Human Rights Lawyer, Writers in Prison and tagged Gao Zhisheng. Bookmark the permalink.